At Normandin, Cheney & O'Neil, PLLC, our skilled New Hampshire corporate lawyers provide counsel to a diverse client base of more than 200 companies, from family-owned businesses and start-ups to larger businesses with multi-state operations. Established in 1914, our firm has significant experience in forming corporations, limited liability companies, partnerships, and other business entities, as well as resolving issues that arise in the course of their operations. We assist businesses throughout Belknap, Carroll, Grafton, and Merrimack Counties, and throughout New Hampshire in handling purchases and sales of businesses, commercial real estate transactions, commercial real estate transfers, business planning and succession, buyout agreements, financial transactions, contract disputes, commercial lease agreements, employment issues, and more. Our firm also can advise clients who need a real estate attorney or representation in a wide range of other matters, from estate planning and probate, trust administration, family law, and criminal defense to personal injury, workers’ compensation, and Social Security claims. A person conducting business in New Hampshire under any name other than his or her legal name must register with the Secretary of State. Selecting the appropriate legal entity through which to operate your business is an important decision, involving many considerations. There are several types of business structures with different limitations, filing requirements, and liabilities, including corporations and general and limited partnerships, limited liability corporations, and variations thereof. For example, a limited liability company (LLC) is very flexible and allows for pass-through taxation, along with limited liability for business debts and obligations. 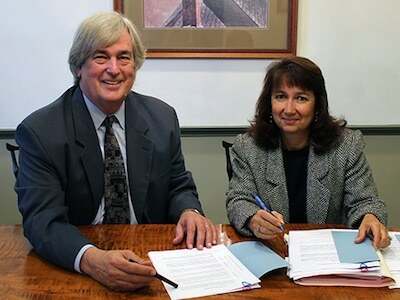 To form a limited liability company, you must file a certificate of formation with the New Hampshire Secretary of State, choosing a name that is distinguishable from other New Hampshire business entities and that contains the words “limited liability company” or “LLC.” It is prudent to also create an operating agreement that governs the rules, rights, and responsibilities of the LLC and its members. In addition, all New Hampshire LLCs are required to file an annual report with the Secretary of State. Our attorneys can provide information to assist you in determining which business form best suits your needs and goals. Businesses often require legal guidance in transactions involving the purchase and sale of businesses, mergers, acquisitions, and other agreements. These types of business dealings typically entail a thorough examination of finances and records, an understanding of the current market environment, an identification of potential liabilities, and many other considerations. A corporate attorney can assist in these matters, draft or review written documents, ascertain any potential disadvantages, and explain the consequences for your business. Contracts are also a significant part of operating a business. They may concern a number of matters, from employment and lease agreements to payments for goods and services. Disputes commonly arise when one party fails to perform under a contract, and legal recovery may be pursued as a breach of contract claim. Remedies may include an award of damages, specific performance, rescission, and restitution. For more information regarding contract disputes, discuss your situation with a knowledgeable business lawyer. Normandin, Cheney & O’Neil, PLLC has represented lenders, both institutional and private, for over one hundred years, which has evolved over the years with the ever changing federal regulatory programs affecting the lending market. We represent banks in both commercial and residential loan transactions. With a comprehensive range of legal knowledge and experience in handling large-scale business transactions, the New Hampshire corporate attorneys at Normandin, Cheney & O'Neil have the resources and skill to effectively represent your interests. We offer high-quality legal representation tailored to the needs of each entity, along with creative solutions to help accomplish its goals. Based in Laconia, we serve areas throughout Belknap, Carroll, Grafton, and Merrimack Counties, and beyond. We also can represent people who need an injury attorney or legal guidance with a workers’ compensation, Social Security, family law, criminal defense, estate planning, or real estate matter. Contact Normandin, Cheney & O'Neil, PLLC by phone at (603) 524-4380 or online to set up a consultation.